The number of accessories compatible with Apple's Smart Connector for iPad Pro continues to grow —albeit very slowly —with two new keyboards this week from Logitech for both tablet sizes. The new Logitech Slim Combo with detachable keyboard is available to purchase from Apple, and delivers this week, ahead of the debut of the new iPad Pros next week. The detachable keyboard is available for both the 10.5- and 12.9-inch iPad Pro models, priced at $129.95 for the smaller version, and $149.95 for the larger one. 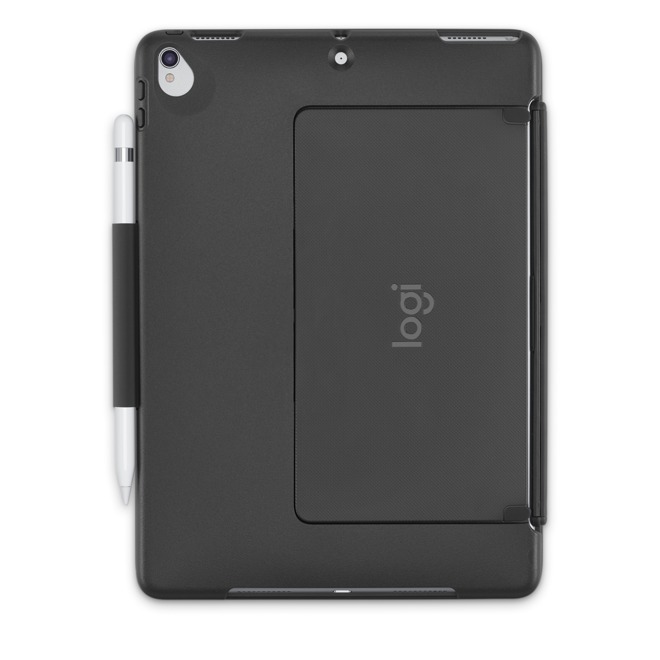 On one side, Logitech's accessory offers a protective cover to prevent scratches on the back case of the iPad Pro. On the other is a detachable keyboard that can be used in four modes —typing, viewing, FaceTime and reading. The Slim Combo features backlit keys, and because it is powered by the Smart Connector on the iPad Pro, it does not include a battery or need to be recharged, or need to be paired via Bluetooth. It also has a dedicated row of function keys, offering greater input options for iPad Pro owners. The kick-back stand offers 50 degrees of tilt, and the exterior (available in black and blue color options) is both spill-resistant and wipeable. Logitech's product also has a built-in hold for the Apple Pencil, giving users a place to put the stylus when it's not in hand. Notably, the 12.9-inch Logitech Slim Combo is compatible with both the first- and second-generation iPad Pro in that size, because the design and Smart Connector remain unchanged. 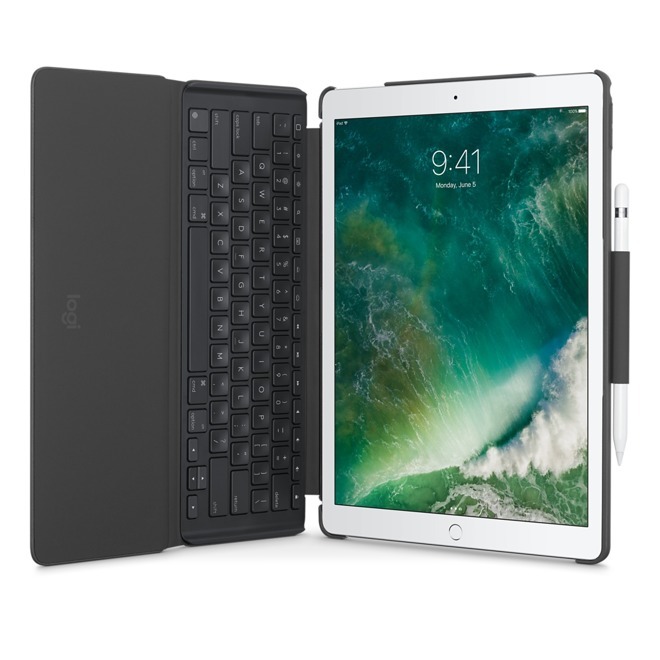 Beyond the Logitech keyboards, Apple also launched a 10.5-inch Smart Keyboard for the new iPad Pro form factor. Logitech also offers a thicker, more protective Create keyboard case for the 9.7- and 12.9-inch iPad Pro form factors. It lacks the detachable keyboard of the new Slim Combo. 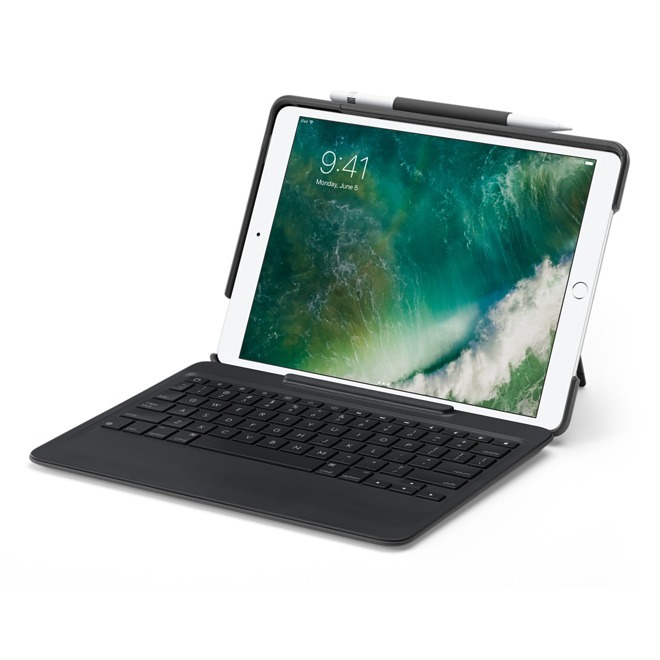 Finally, Logitech also offers the Logi Base Smart Connector charging dock, which allows users to recharge their iPad Pro with the magnetic connector. Though it charges slower than standard Lightning, the Smart Connector frees up the Lightning port for accessories, such as simultaneously recharging the Apple Pencil. To date, that's it for the Smart Connector accessory lineup: Two keyboard types from Logitech, one keyboard type from Apple, and the Smart Connector charging dock. No other upcoming Smart Connector accessories were announced at this week's Worldwide Developers Conference. It remains unclear whether Apple is actually licensing use of the Smart Connector port to third-party accessory makers other than Logitech. It's possible that Apple has restricted use of the connector thus far, but it's also possible that manufacturers have declined to support it —whether because of cost or adoption.